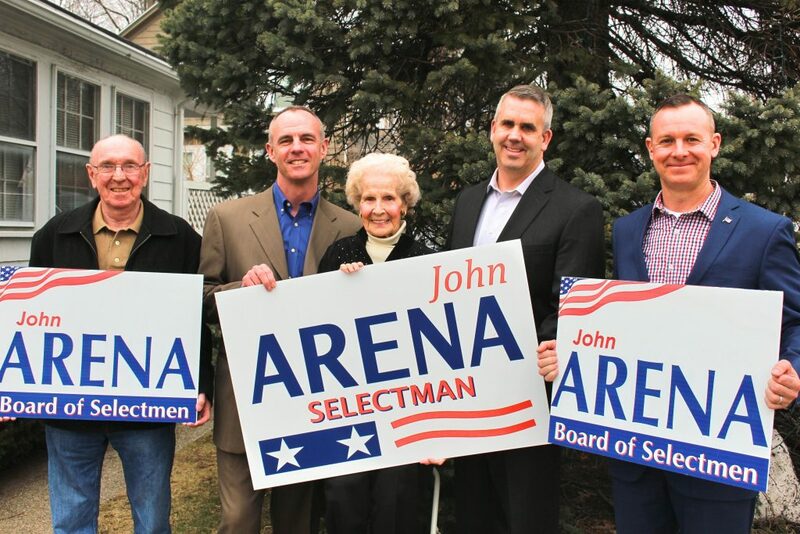 There are two candidates for the one three-year term on the Board of Selectmen. Current Chair of the Board John Arena of Francis Drive will seek to keep his seat and is opposed by Finance Committee member Vanessa Alvarado of Grand Street. There are three candidates for two three-year terms on the Reading Municipal Light Department Board of Commissioners. Incumbents David Hennessy of Pine Ridge Road and John Stempeck of Avalon Road will be challenged by Robert Coulter of Arcadia Avenue. 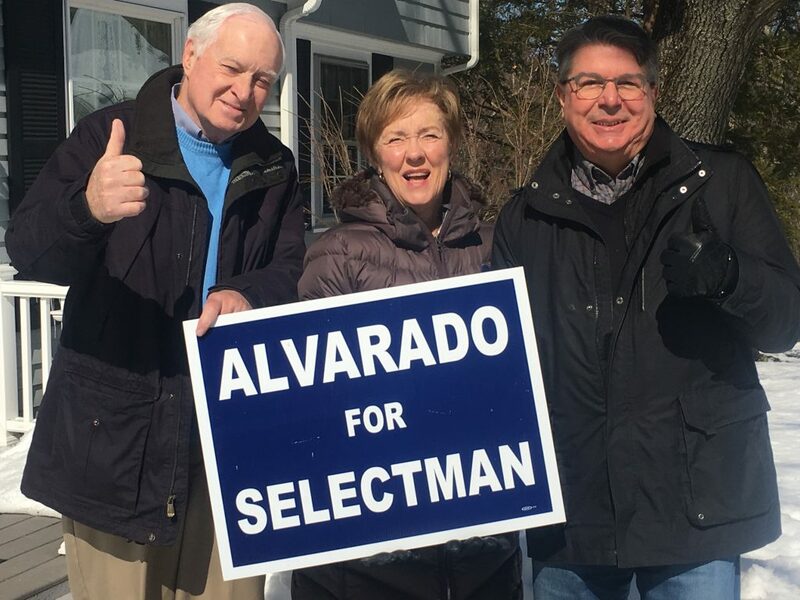 There are two three-year terms available on the School Committee and four candidates: incumbent Elaine Webb of Pearl Street, Rebecca Liberman of Pratt Street, Sherri VandenAkker of Summer Avenue, who was appointed in January to fill the term vacated by Gary Nihan, and Alicia Williams of Maria Lane. There are two three-year terms on the Library Board of Trustees, each being sought after by the incumbent. The first is being sought by Alice Collins of Mineral Street and the second by Andrew Grimes of Oak Street. Monette Verrier of Kurchian Lane is seeking the two-year seat on the Library Board. Verrier was recently appointed to the board to fill the vacancy created when Sherri VandenAkker was appointed to the School Committee. 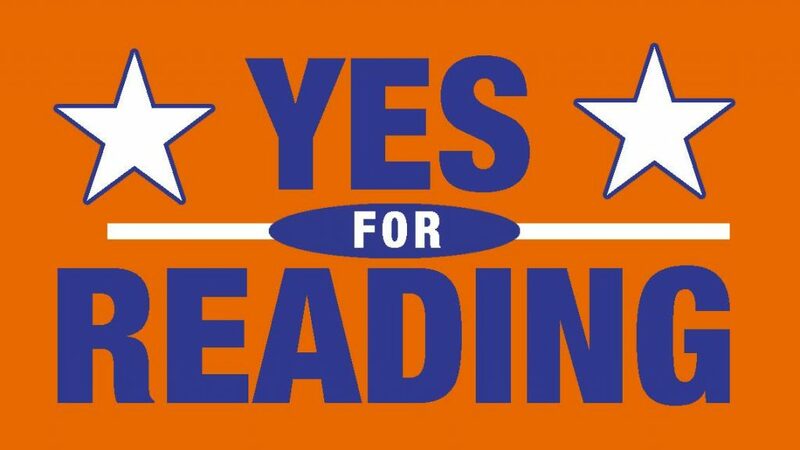 Yes for Reading, the town’s official ballot campaign for a Proposition 2 ½ Override, is making history. If the residents turn out to vote, they can retain the traditional lifestyle they deserve and ensure a prosperous future for the town. “But despite all of this, history shows that the number of people who go to the polls and vote was ALWAYS the deciding factor,” said Erin Gaffen, co-chair of Yes for Reading. 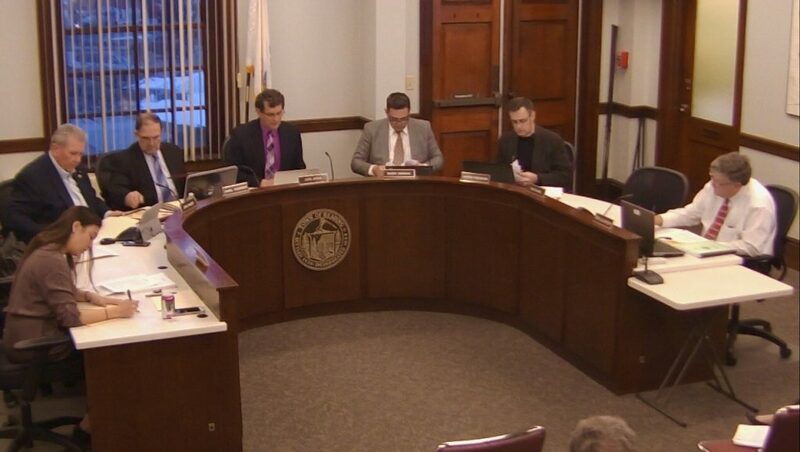 The Board of Selectmen voted 5-0 to set the water and sewer rates for Fiscal Year 2019 at $10 per 100 cubic feet for water and $10.17 per 100 cubic feet for sewer. These are the same as the rates for FY 2018. This decision was possible due to $4-5 million in water/sewer reserve funds that are currently available. These reserves are held to pay for unbudgeted emergency repairs that may occur during the year. Town Manager Robert LeLacheur stated that the level of water and sewer reserve funds would be comparable to the town having $80 million in free cash reserves. The board did raise the stormwater charge from $40 annually per household to $60 annually per household. This is in anticipation of repair needs that could be in excess of $9 million in the next few years. 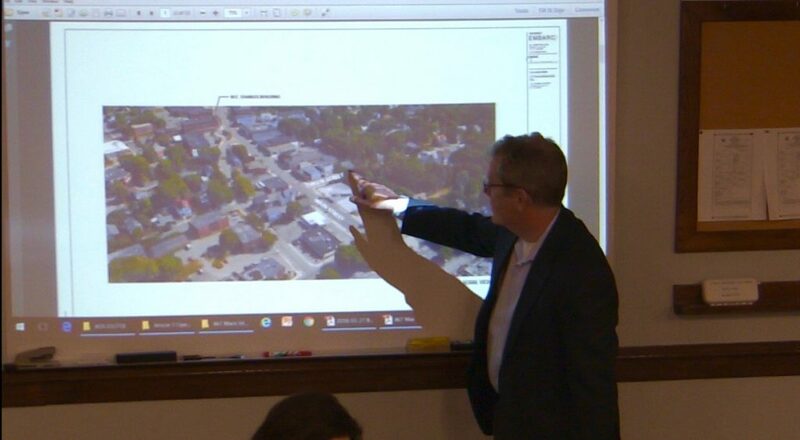 The board voted 5-0 to approve a plan to provide a 39-foot on-street loading zone on Sanborn Street for the Postmark Square development. The loading zone will replace the current curb cuts that lead into the former post office parking lot. No current on-street parking spaces will be lost. 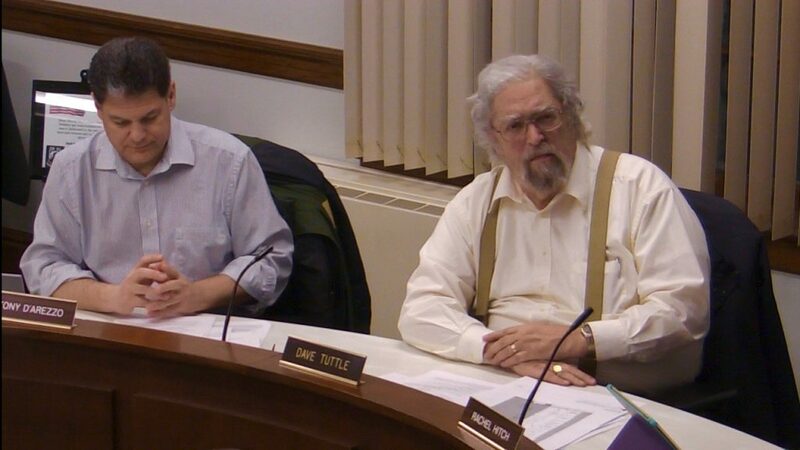 The selectmen had a long conversation regarding the adoption of an amended article one of their board policies. While the board voted 5-0 to adopt the amended policies, the intent of the board is to look at them more closely in a workshop-style meeting on a Saturday. There was a continued conversation around the timing of board reorganization as well as how to best handle communications to the board in the light of new technology and open meeting laws that have not kept up with how persons communicate in the 21st century. The Recreation Committee asked the selectmen to affirm its recommendation to allow the Reading Softball Little League (RSLL) to begin to play at the Birch Meadow softball field starting at 9:00 am on three Sundays, April 22, May 6 and May 20. It was noted that several girls would not be able to register to play in the league if the additional hours were not added as there is not enough field space to accommodate them. After much discussion and public input, the board voted 4-0 to approve the change. 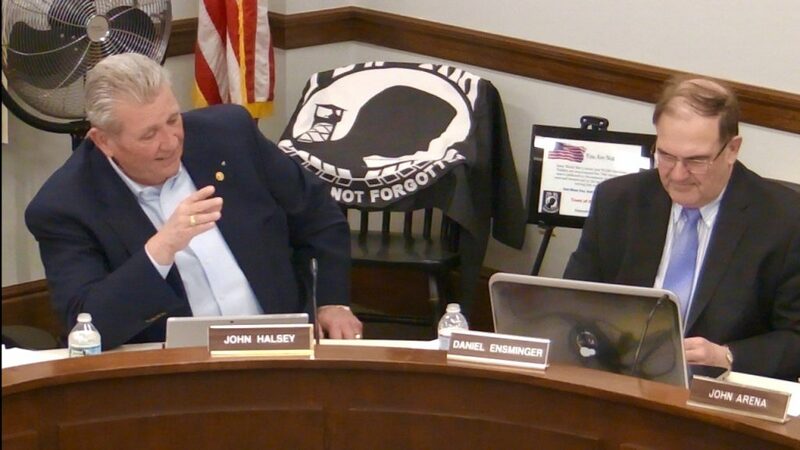 Selectmen John Halsey, also a member the RSLL board, recused himself from both the discussion and the vote. 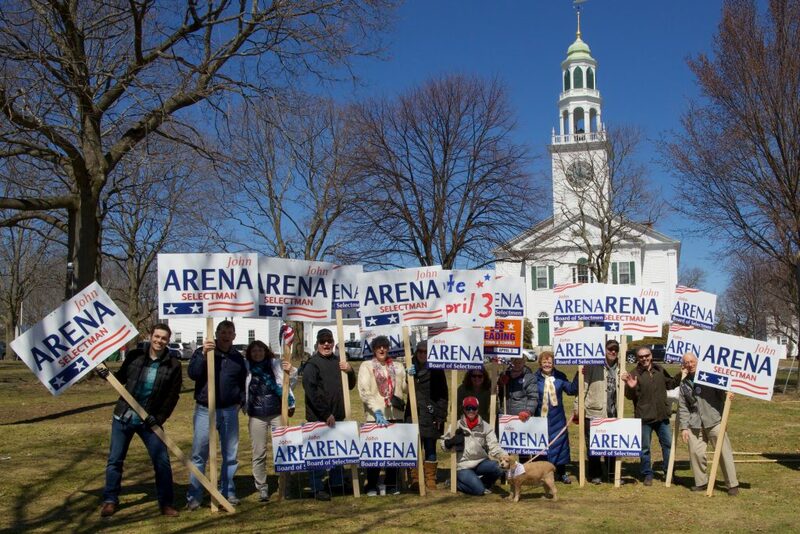 Selectman Barry Berman and Chair John Arena each made clear that this was a one-time exception to the traditional policy of no organized field use on Sunday mornings in town and that the decision was not to be seen as a precedent. Berman also implored the leagues and Recreation Administrator Genevieve Fiorente to figure out the schedule so that similar action would not be needed next year. Boghos Properties, the developer of 467 Main Street site of the current Sunoco station, made a presentation about its planned 40R mixed-use building, asking the selectmen to approve three items. The first is allowing a curb cut on Green Street to be 43 feet from the corner instead of the normal 50 feet. The second is to allow for the possibility of sidewalk dining if a food service tenant occupies the commercial space. The third is to accept three proposed on-street parking spaces in front of the building. 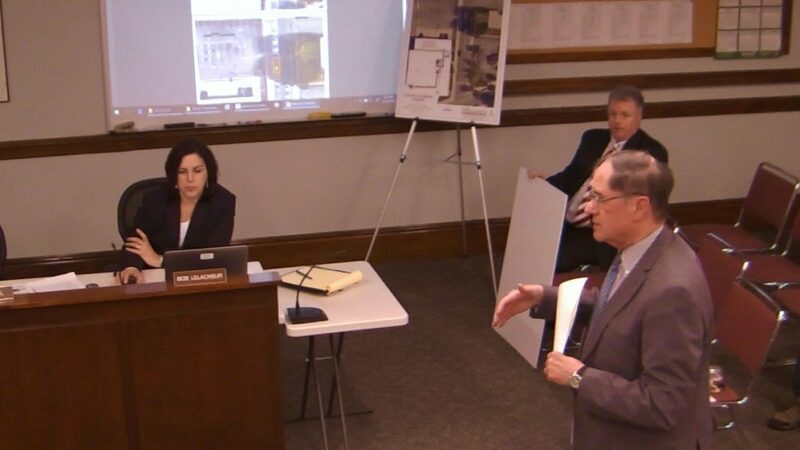 No vote was taken as a public hearing is required before a decision can be made, although the sense of the board was positive toward all three suggestions. “This is exactly the type of development we were thinking of (when we passed 40R. ),” commented Halsey. The selectmen also approved a name change for Ristorante Pavoratti on Main Street to Zucca Italian Restaurant and Bar; officially recognized four citizens for promotion of the middle school cross country program; received an update about the little league parade planned for April 29, and listened to explanations from the developer of the Reading Village 40B development regarding excessive dust production and unauthorized street closings at the site. Arena suggested that the developer be proactive with communication, establishing a website with updated information and schedules to which residents could be referred when questions arise. 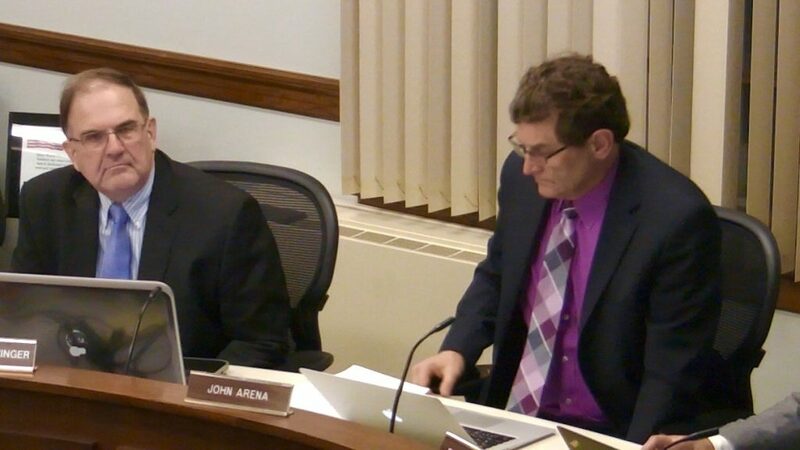 Superintendent John Doherty presented his amended kindergarten plans to the School Committee at its March 19 meeting. The changes came after many parents of next year’s half-day kindergarteners received notice that their children would not necessarily be attending their neighborhood school, but that all half-day students would be attending either Joshua Eaton Elementary School or Barrows Elementary School. The change was made to allow half-day and full-day students to have separate classes. Parents expressed concern both about the late notice of the change and the inability to re-register for full-day based on the new information thus preventing siblings from having to attend different schools. Doherty acknowledged that he had spoken with “many” parents and offered the following plan to address concerns. First, the choice to offer separate programs for half-day and full-day kindergarten students would continue. 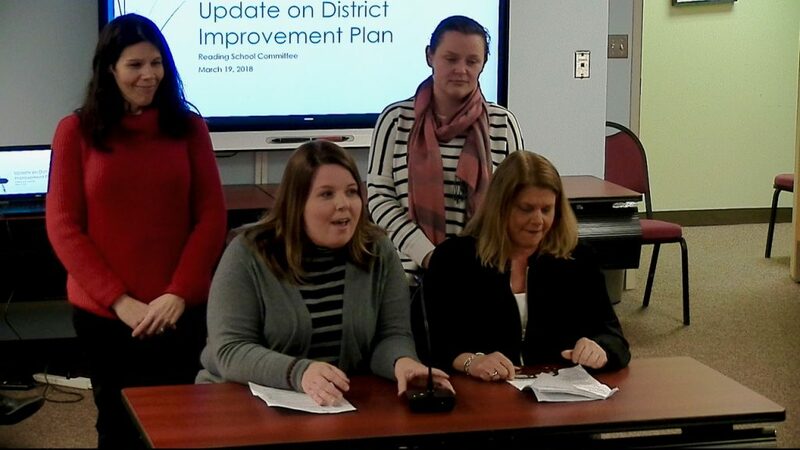 Four kindergarten teachers presented a letter, signed by all fourteen kindergarten teachers in the district, to the committee affirming this choice. “[Combined classes] are not an optimal learning environment for students.” opined the letter. Second, all kindergarten students who have siblings in a school, present or past, will be able to return to that school for grade one. Third, all half-day kindergarteners with a sibling in a school that is on the waiting list for full-day will be accepted into the full-day program at that school, except at Wood End Elementary School, where there is no room. Finally, morning extended day programs will be offered at no cost to families at Killam and Birch Meadow to help those who need to drop students off at multiple schools. Several changes had to be made to accommodate these changes, Doherty reported. One RISE pre-school will move from Wood End to Killam, to open a classroom for half-day. All half-day kindergarten programs will be in the mornings and will begin at 8:15 am. Barrows half-day students will be at Joshua Eaton and Birch Meadow half-day students will be at Wood End or Killam dependent on geography. Doherty acknowledged that some full-day kindergarten students may need to change schools for grade one and that this plan does not address all the concerns from parents, but addresses most of the concerns. The committee was generally positive regarding the compromises, although member Nicholas Boivin expressed a need to readdress the idea that certain families need to pay to be able to attend their local school. Resident Caleb Smith thanked the superintendent for the changes while still expressing concern about the timing of how the original decisions were made. 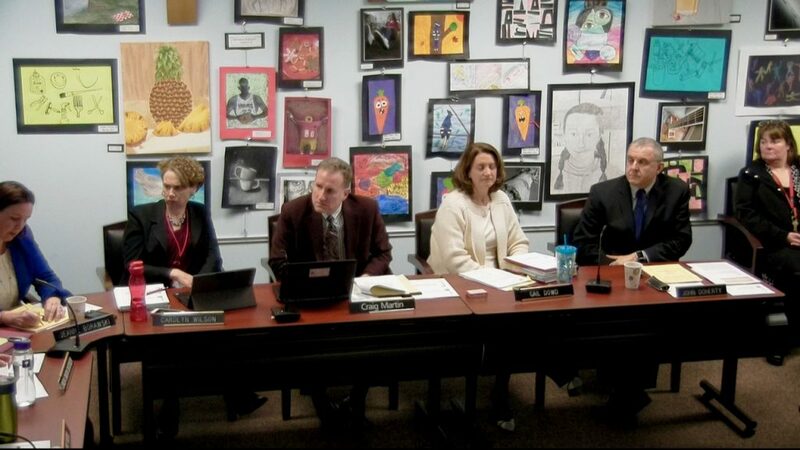 The School Committee spent the bulk of the meeting hearing a report from the building principals regarding how each was addressing the goals of the district improvement plan. “Our staff has not wavered in the commitment to children.” Doherty declared. He also announced that the high school principal finalist decided to accept a position elsewhere, partially due to the uncertainty of funding in the community. 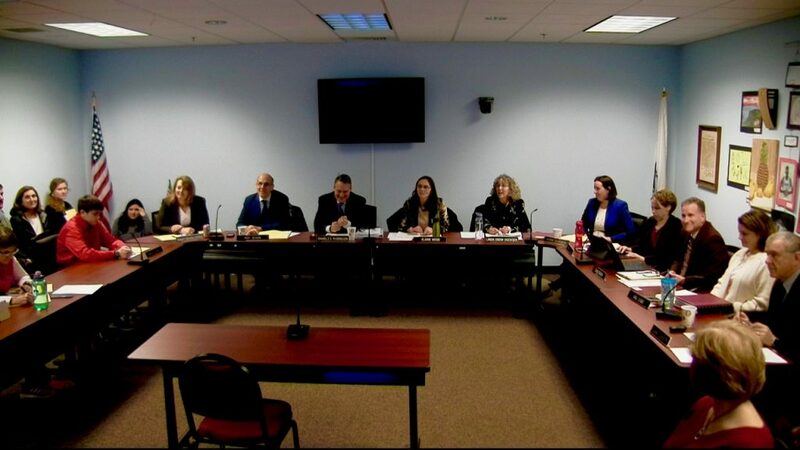 Doherty informed the committee that a new search will be suspended until after the local election on April 3 and that there is a possibility of securing an interim principal for the 2018-2019 school year. The Community Planning And Development Commission (CPDC), by a vote of 3-0, approved a request to allow the building at 30 Haven Street to have a greater-than-previously-allowed 30 percent office usage in the building. The percentage was established to try to encourage pedestrian traffic to retail businesses on the street. Reading Foot and Ankle has outgrown its Ash Street location and believes that the Haven Street location will be ideal for its business. This relocation would increase the building’s office usage to 33 percent of the total space. 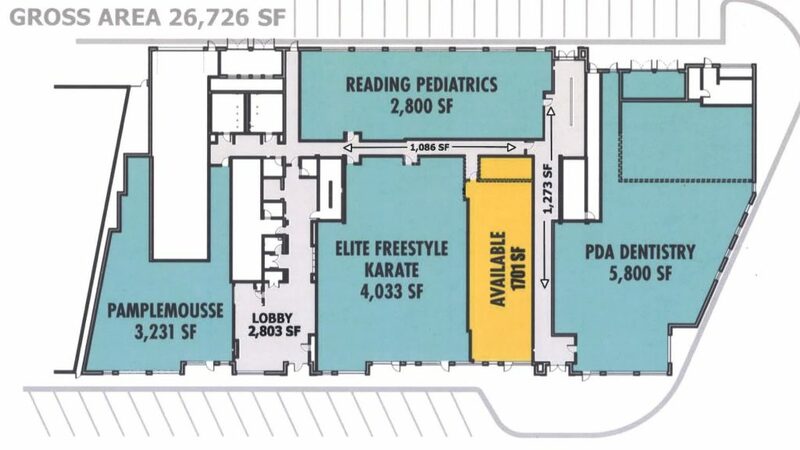 The applicant originally requested to be permitted to make a rear entrance facing the parking lot the primary entrance to the space but changed their plans based on CPDC input. Both the parking lot and the street-side entrance now will enter into an interior hallway that will lead to the primary access to the space. An additional door to the street will remain as an exit only. The vote actually increased the allowed office usage percentage to 40 percent of the building to prevent another business from having to come before the CPDC for approval. CPDC also continued its discussion regarding amending its 40R design guidelines. Due to multiple members being absent, most of the discussion revolved around why there was a need for the guidelines to be revised. “[We want to] ensure that any additional projects don’t negatively impact existing neighbors.” CPDC associate member Tony D’Arezzo suggested.